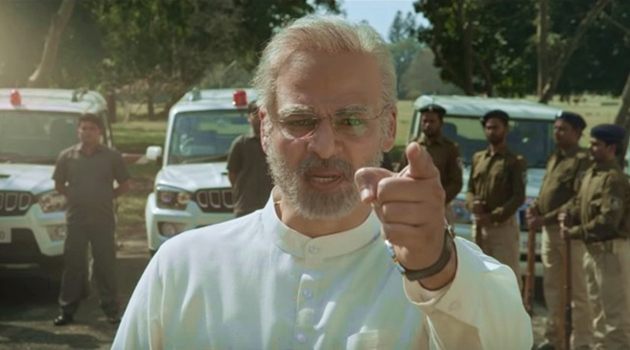 PM Narendra Modi Trailer: Cinematic Elevation! Theatrical Trailer of Narendra Modi biopic starring Vivek Oberoi is being unveiled. This film is all about the rise of Narendra Modi as the Prime Minister of India, challenges he had faced in the process & also after creating history in 2014 Polls. Director Omung Kumar has given a patriotic touch to Modi Biopic. In the end, Vivek Oberoi even issued a stern warning to Pakistan. From Godhra Riots to Terror Attacks, All the key phases in Modi's political career has been covered. This Biopic is for all those who admire PM Narendra Modi. Even those who wish to know the journey of the tea seller who became the Prime Minister of the country can give it a try if they are okay with cinematic elevations. Release of PM Narendra Modi biopic is being preponed from April 12th to 5th due to the Lok Sabha Polls starting from April 11th. Will it fetch political mileage for Modi?